company showed the entire feature set, features that were also missing from its June Windows Phone summit preview. Earlier the company had stated that Windows Phone 8 would use the same NT core as and it would support marquee Windows features like DirectX and will also have superior IT management support for businesses. Additionally, the OS was also said to have a new start screen with resizable tiles, a camera lens, a new Wallet system, Nokia Maps, Data Sense and support for more powerful hardware. In spite of all these features, Microsoft decided to hold back some of the features in the platform till the final public unveil. Microsoft announced that Windows Phone 8 will have a new live lockscreen that would be able to pickup wallpapers from online services like Bing and the lockscreen picks up data from the live tiles. Another new feature that is part of Windows Phone 8 is Kids Corner. This feature is particularly handy for parents who want to lockdown certain sections of a device and hand over the device to their child with only access to apps that are in the Kids Corner. Skype was a big part of the announcement. The new Skype app on Windows Phone 8 will run in the background and it will even receive calls and messages in the background. In fact it remains always on, and other similar applications can use the rich communication services (RCS API) to get the same functionality. A new feature called Rooms also makes a debut on Windows Phone 8. It’s a private chat feature that includes shared pictures, calendars and videos. Microsoft says that it will enable this feature for Android and iOS as well, but users will need a Hotmail account for it. Apart from this Microsoft has announced that the Windows Phone Store now has 1,20,000 apps and it touts that at launch Windows Phone 8 will have 46 of the 50 most popular apps on mobile platform. Additionally, it has updated Twitter and Facebook apps for Windows Phone 8 and also made a Pandora app. 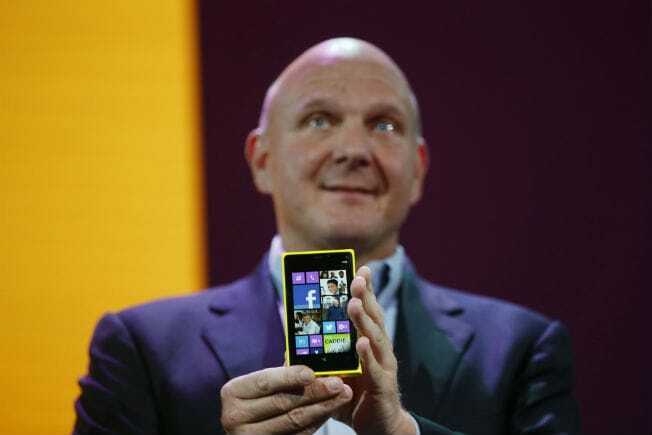 Unfortunately, Pandora does not work in India, so Indian Windows Phone users will not get access to this service.